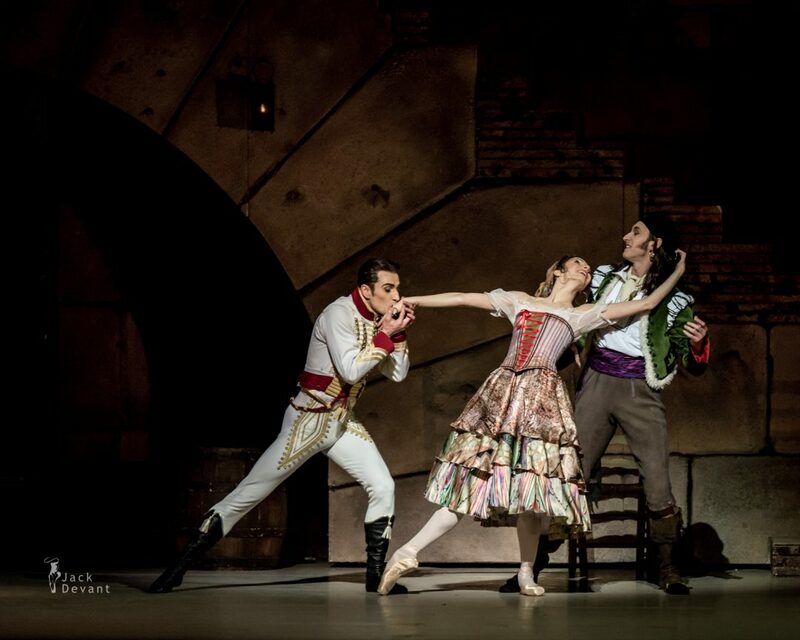 Daria Sukhorukova as Paquita, Tigran Mikayelyan as Lucien and Cyril Pierre as Inigo in Paquita, 2.nd act, choreography by Marius Petipa and Alexey Ratmansky. Music by Édouard Deldevez and Ludwig Minkus. Shot on 10.12.2014 in Bayerische Staatoper Munich, during main rehearsal. Conductor Myron Romanoul. Tigran Mikayelyan is Principal Dancer with Bavarian State Ballet. He was born in Yerevan, Armenia, and trained at the Armenian Ballet school Erewan from 1989-1997. In 1997 he got a scholarship from the Nurejev-Foundation and joined the Suisse Ballet Academy SBBS in Zurich. Having graduated in 1998 he was engaged with the Zurich Ballet where he was promoted to Soloist rank in 1999 and to First Soloist rank in 2003. In 2005/2006 he joined the Bavarian State Ballet as a First Soloist and was promoted to Principal Dancer at the beginning of the season 2007/2008. In 2007, his home country announced Tigran Mikayelyan as Honoured Artist of Armenia, the highest appreciation artists of his country can achieve. Paquita is a ballet in two acts and three scenes, composed by Ludwig Minkus, with libretto by Joseph Mazilier and Paul Foucher. 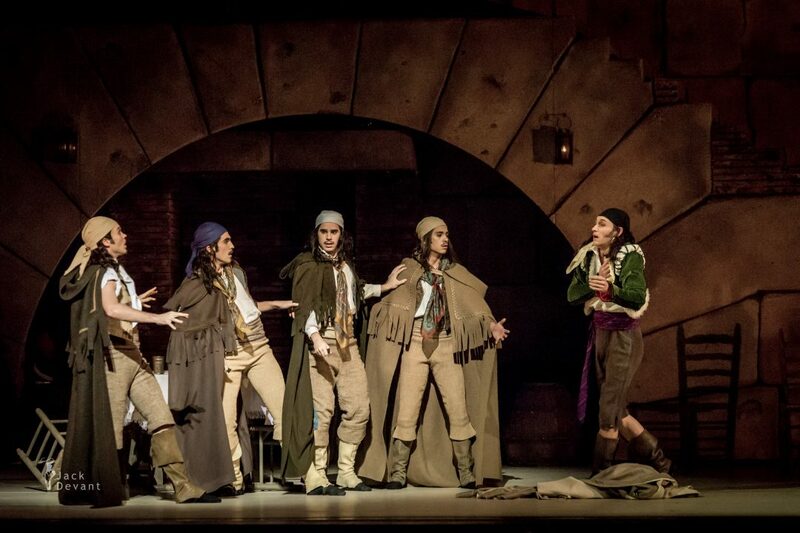 Originally choreographed by Joseph Mazilier to the music of Edouard Deldevez. First presented by at the Salle Le Peletier by the Paris Opera Ballet on 1 April 1846. The work was retained in the repertory of the Opéra until 1851. 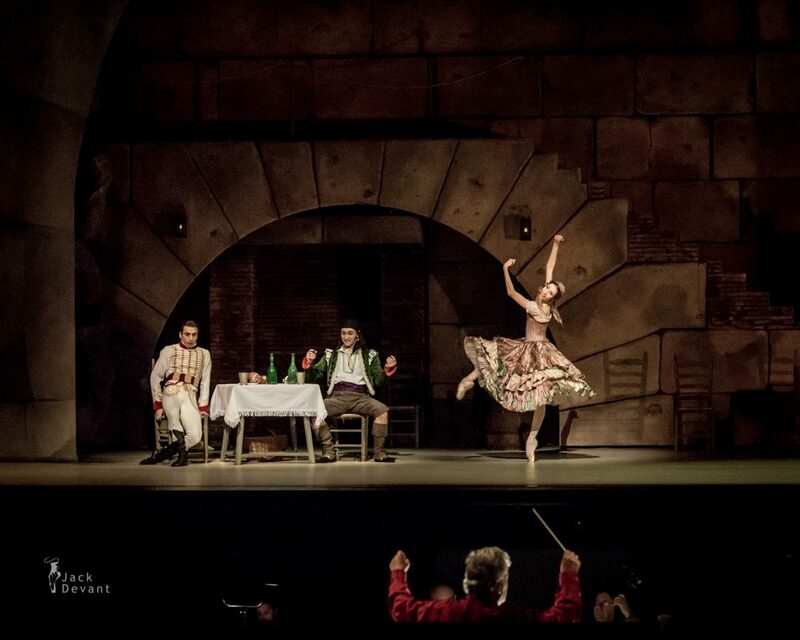 In 1847, Paquita was staged for the first time in Russia for the Imperial Ballet of St. Petersburg by Marius Petipa and Pierre-Frédéric Malavergne, being the first work ever staged by Petipa in Russia. In 1881 Petipa produced a revival of the ballet for which he added new pieces specially composed by Ludwig Minkus. This included the Pas de trois (a.k.a. the Minkus Pas de trois or Paquita Pas de trois) for the first act, and the Paquita Grand pas classique and the Mazurka des enfants (Children’s mazurka) for the last act. Petipa’s version of Paquita was retained in the repertory of the Mariinsky Theatre until 1926. Marius Petipa’s 1881 additions for Paquita survived long after the full-length ballet left the stage. Today these pieces, particularly the Grand pas classique, are major cornerstones of the traditional classical ballet repertory and have been staged by ballet companies throughout the world. Alexei Ratmansky in cooperation with renowned dance scholars and artists restaged a production of “Paquita” for the Bavarian State Ballet. Reconstruction and new creation in one, the full-length classic will be premiered on December 13, 2014 at the Nationaltheater Munich. 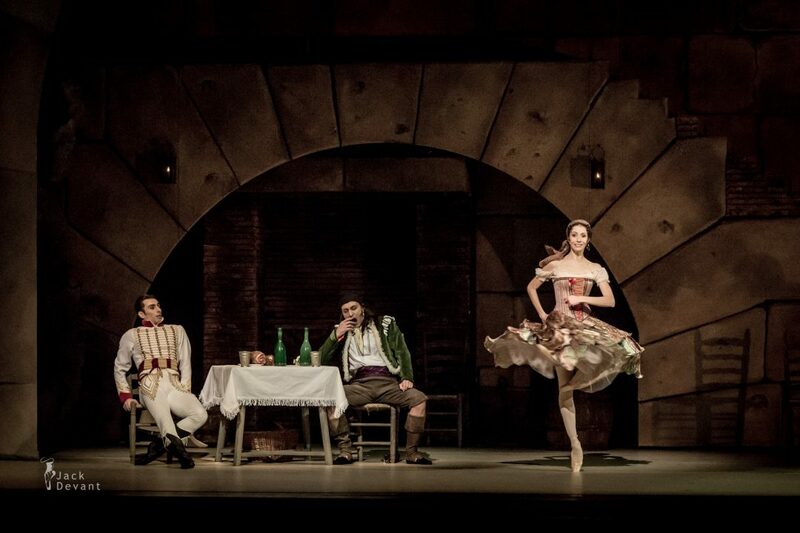 Ballet is telling the story of a Spanish gypsy girl called Paquita, who falls in love with a French nobleman called Lucien. Unfortunately, due to their differences in background and social standing, the two characters are incompatible. Later it is discovered that the gypsies are not her real family, and that they saved her from a pirate massacre when she was just a child. Travelling the country, they find and reunite her with her original family, revealing her to be the daughter of a nobleman, and she and Lucien are united.